In early July 2015 the Scottish Ambulance Service sent their new next generation air ambulance helicopter on a tour around the Scottish islands. 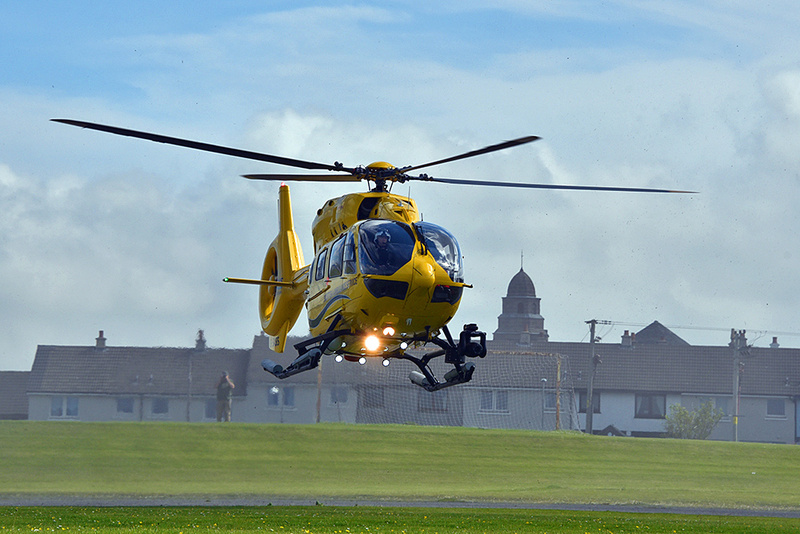 On 3/Jul/2015 it visited Bowmore, here it is taking off from the school playing fields. This entry was posted in New Post, Sunny Weather, Village and tagged Bowmore, Islay, Round Church by Armin Grewe. Bookmark the permalink.